Tip: Every organization member can create teams at the highest level of your organization's hierarchy. Only organization owners and maintainers of a parent team can create a new child team under a parent. On the right side of the Teams tab, click New team. Under "Create new team", type the name for your new team. 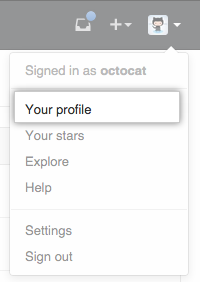 Optionally, in the "Description" field, type a description of the team. 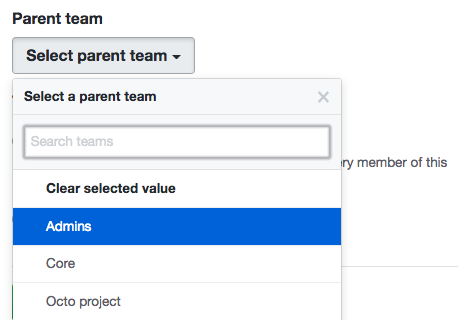 Optionally, if you're creating a child team, use the drop-down menu to choose a parent team for your new team. 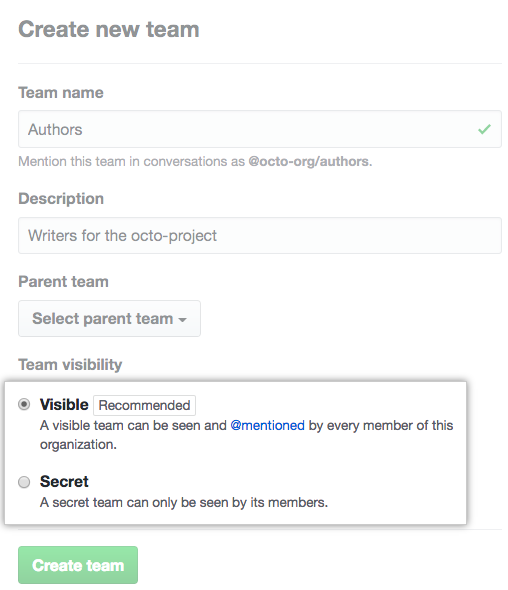 Decide whether the team will be visible or secret. 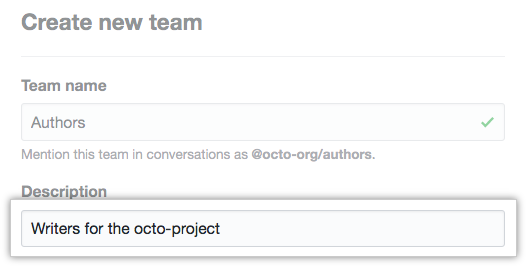 Optionally, give the team access to organization repositories. "Moving a team in your organization's hierarchy"